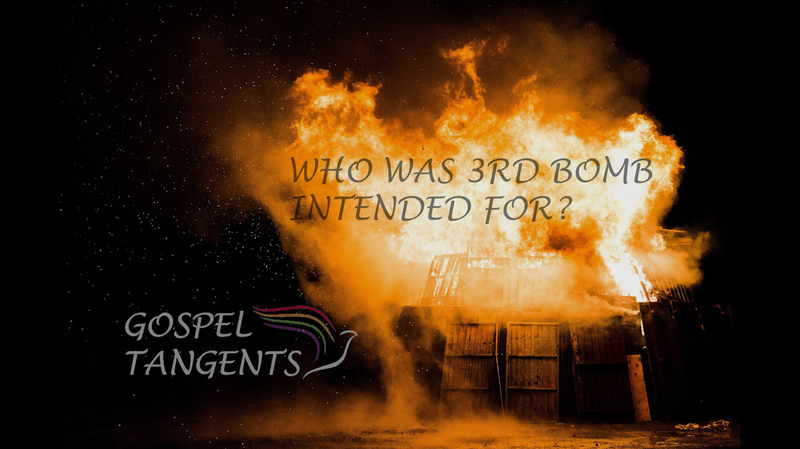 Home / George Throckmorton / Who was the Third Bomb Intended for? Who was the Third Bomb Intended for? George: When the investigator said that Hofmann had told him the bomb fell out of the car, he said, “That’s not true. He’s not telling you the truth.” But when somebody is not telling you the truth, you wonder why. In looking in the trunk, they found some old documents that didn’t matter. He was legitimate examiner. Everybody knew that, but they also found some components of a pipe bomb in the trunk. They found Mark Hofmann was waiting to see somebody at the Crossroads Mall downtown and at the time he would meet this person on a specific day at a specific time. Hofmann made this third bomb. He went down to Crossroads Mall. He parked his car up where the Conference Center is presently at. It was across the street from the old Deseret Gym. And he carried the bomb with him down to the mall. We know he was there for at least an hour and a half carrying the bomb because he had gone into a local store and made a purchase there. And it had the time on the receipt. It was in his pocket. So, we know he was there. And then I think what happened, and we have to speculate, but it seems pretty good. When this person didn’t show up, then Hofmann left. He walked back up to his car, which was a low sportscar. As he opened up the car door, he was still carrying the bomb. As he sits down in the seat and goes to put the bomb on the passenger seat. It hit the gearshift knob and caused it to tip and it blew him out of the car. That was totally contrary to what he said happened. Become a patron and listen to the entire episode on our Patreon Page for just $5/month! Subscribe on YouTube or Apple Podcasts! Buy a paperback or Kindle version at our Amazon store! Share this episode on Facebook with your friends! George Throckmorton describes the crime scene when Mark Hofmann’s 3rd bomb blew up.